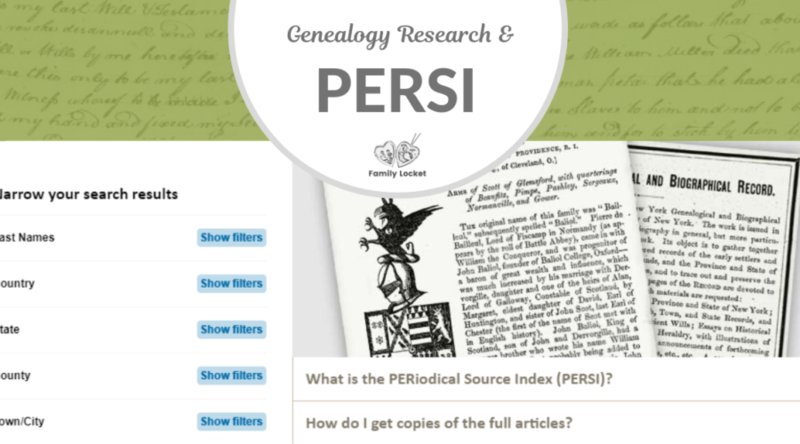 Have you heard of PERSI, short for the PERiodical Source Index? I recently used this amazing resource to discover an article about a very specific research question. If you’ve heard of PERSI, but not known how to use it, today I’ll be sharing 4 steps to get you started. First of all, a little background on PERSI. 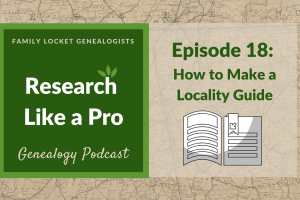 For over a hundred years, genealogy articles have been written and published by thousands of societies and organizations worldwide. These publications are often titled “quarterlies” because four would be produced each year, or quarterly. Members of the society or organization would receive the printed copy as part of their membership and the various quarterlies would be housed in libraries and historical societies throughout the world. 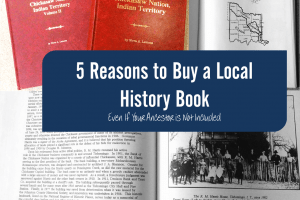 Recognizing the incredible value these publications have for genealogists, the Allen County Public Library Foundation and Genealogy Center staff began a monumental project in 1986 to index each article in each publication. That index is now available for free on Findmypast. Additionally, through the partnership of the Federation of Genealogical Societies and Findmypast, articles are being digitized and made available to view online. To see those images however, a subscription is necessary to Findmypast, or individual articles can be viewed with pay-per-view credits. Luckily, even if an article is not yet digitized, the physical copy can still be obtained and I’ll show you how. Why go to the bother of tracking down an article? 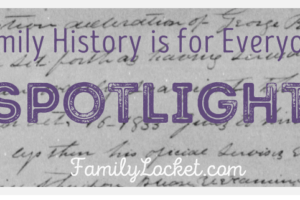 As family historians, one of those thousands of articles might have the exact information we need to further our quest to discover our ancestors. To perform reasonably exhaustive research, we need to follow each avenue that could bring us closer to our quest. Let’s take a look at how to use PERSI through Findmypast. I’ll share my recent search as an example. What exactly are you looking for? Do you want to learn about early churches in a county? How about all articles for a surname in a city? Maybe you’re looking for Revolutionary War information in a state. Whatever you can imagine, you can search. For my recent project, I was researching Swedish immigrants in Worcester, Worcester County, Massachusetts and wanted to see if there were some articles shedding light on this subject. To get started, you need to know how to access PERSI. From the home page of findmypast, click on SEARCH and then NEWSPAPERS & PERIODICALS. Once on the newspapers and periodicals page, click in the circle to the left of “PERiodical Source Index.” That will ensure you are searching within PERSI. When PERSI is showing on your screen, you’re free to enter some search parameters. This is the time to experiment with adding a surname, a location, and any keywords. I started broad with the location of “Worcester” and the keyword of “Swedish.” I was excited to see that my search returned 13 results! Clicking on the top title, I found that this article was titled “Swedes in Worcester” and was published in the Swedish Pioneer Historical quarterly / Swedish-American Historical Quarterly, volume 4, October 1953. -Do a Google search for the publication. Some societies have digitized their collections and have them available in PDF format or for a small fee. -Consider using the inter-library loan service of your local library. They might be able to locate a copy that another library will send directly to your local library. -The Allen County Library as the creator of the index has a copy of every periodical issue listed and will copy the article for a small fee. You can access this service by printing an Article Request Form. Once you’ve gone to the work of locating the article, be sure to create a source citation in your research log as well as the relevant details. I was able to find the “Swedes in Worcester” article at the Family History Library using the FamilySearch Catalog. Looking at the title page, I was interested to see that the title was actually “The First Swedes to Locate in Worcester, Massachusetts” and the title of the publication, The Swedish Pioneer. Doing a bit more research, I learned that the catalogers for PERSI often entered in a title that may be shorter or more accurately reflect the content of the article. If the title of a publication changed, a current title would be used in the catalog. Guess where the ancestor resided in Sweden? Varmland. Now I have another avenue of research to pursue – company records of the American Steel and Wire Company. If you’ve never tried PERSI, the best way to learn is by experimenting. Try a variety of searches and see what you can find. Best of luck in all of your genealogical research! (1) Oscar G. Norseen,”The First Swedes to Locate in Worcester, Massachusetts,” The Swedish Pioneer, vol. 4 issue 4, Oct. 1953, (Chicago : Swedish-American Historical Society, 1953), 14-15. I’ve heard of PERSI, but never used it. I’m going to “play” with it some tonight and see what I find! Thanks for sharing the step by step process. Have fun! Isn’t it great to discover a new place to research? I hope you find something new and exciting! Great article about using PERSI. You might want to try different words in the “what else” box, such as Swedes, Sweden, etc. in order to capture other articles from journals. Your returns turned up journals with the word Swedish in it. There may be general journals also with articles about Swedes. Great idea, Lisa. Thanks for clarifying that we should try all variations for our searches! What a coincidence that we’re both researching the same thing! I’m glad to know the Inter Library loan worked so well for you. Thanks for letting me know.